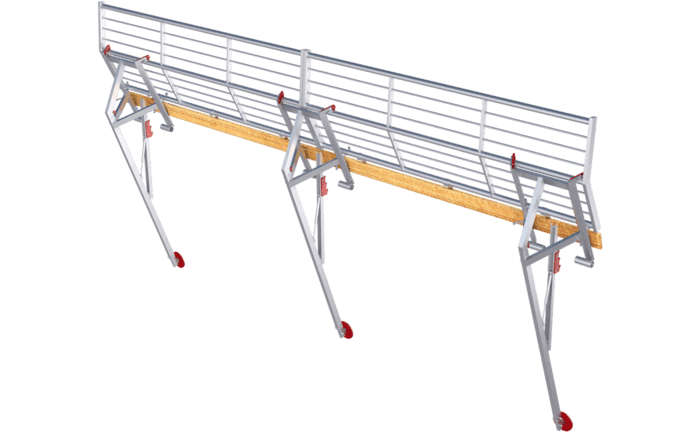 Presenting our ABS Mobile Guard - pitched guard rail system in moving images: Watch our short product video to find out more about its most important features! This temporary guard rail system was specially designed for pitched and flat roofs and is simply hooked onto the gutter or parapet. Any force exerted on it is distributed through its special facade supports. This lightweight guard rail, which is made of high-quality aluminium material, weighs less than 10 kg per meter. 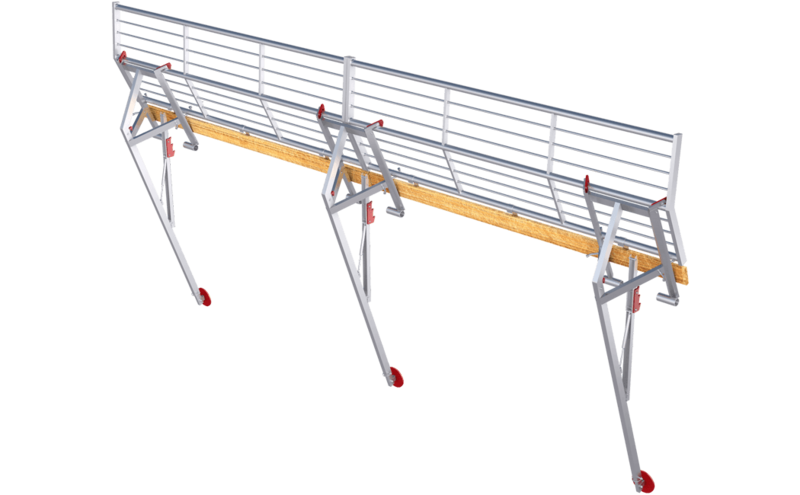 ABS Mobile Guard - pitched is the name of our temporary aluminium guard rail system for pitched and flat roofs. Unique system feature: This guard rail does not require any additional weights. It weighs only 9.4 kg per metre and is simply hooked onto a roof gutter or the edge of your roof. Special posts distribute any ensuing force directly through the facade. If you would like to reinforce the system (which is needed in the case of a roof pitch of 30° or 60°), then you can screw the system onto the rafters using adjustable hooked brackets. If your roof does not have a parapet or suitable edge, we can supply an optional toe bar. 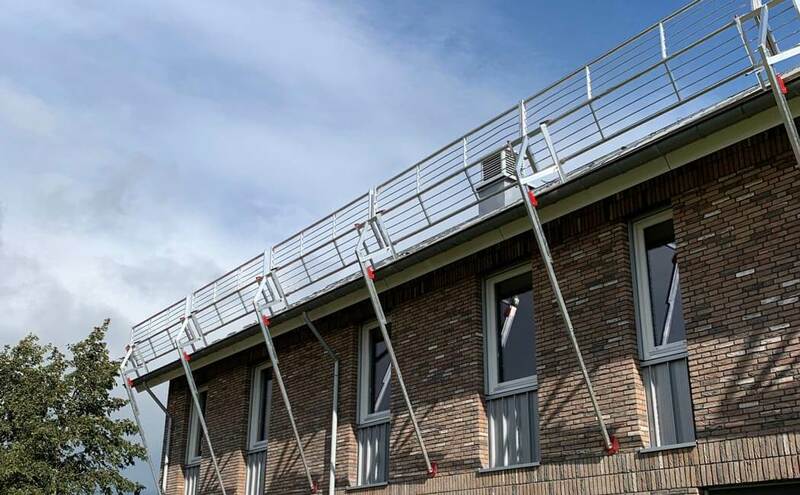 This guard rail system can also be installed on overhanging roofs (up to 1 m). Our ABS Mobile Guard - pitched system has been certified in accordance with EN 13374, C.